A fan-made, interactive guide to the weird words and sing-along songs of The Hold Steady. I always dream about a unified scene. The Hold Steady is frequently called "the greatest bar band in America." It is true that their music (a delightfully unabashed throwback to 70's rock tradition) is perfect for the loose but discerning dive bar crowd. But The Hold Steady has a secret weapon - songwriter Craig Finn's lyrics. Dense, literary, strewn with callbacks, and born out of the mythology of Minnesota's Twin Cities, they tell sprawling stories of parties and churches. Addiction and redemption. Sinners and salvation. They are part of what elevates The Hold Steady far, far beyond your typical bar band. Our mission here is to build a comprehensive, interactive guide to The Hold Steady discography. A unified scene, if you will. We want to walk you through the lyric sheet. Take you to the landmarks where everything happens. But mostly, we hope to offer you an explanation of what it all might mean. This project isn't meant to be definitive. The Hold Steady Wiki, Genius, and The Unified Scene are all outstanding resources for learning more about the songs and their attendant narratives. In the words of André 3000: "This is just [our] interpretation...of the situation." Craig once penned the lyric, "everyone's a critic and most people are DJs." In interviews, he has explained his frustration with the subset of DJs who strictly play other's music and pass it off as their own art. Without exposing one's own nervous personal creations and baring all to the clustered-up masses, a speaking mind in any medium cannot take the risky leap from critic to artist.  So here is 'Clicks and Hisses' for your amusement and involvement. Browse The Hold Steady discography and view annotated lyrics. View geographic annotations plotted on a Google Maps interface. Search through and filter a list of The Hold Steady annotations.